Just because you have procured an insurance policy over your car does not mean your responsibility stops there. 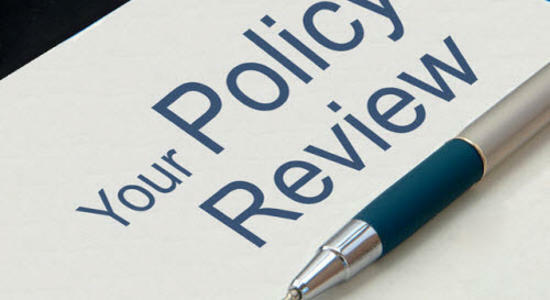 You have to read the policy to know the processes of claiming, the important dates and periods of time, the terms, conditions and the clauses inserted. There may have been some addition or reduction of the number of people in the household or your civil status might have changed. The drivers covered by the insurance policy should be changed accordingly. In this way, you may have to pay for more coverage, or you might want to opt for a cheaper one. If somebody in the household who uses the car has moved out, or if somebody acquires a driver’s license, the insurance coverage should be changed accordingly. One who buys a brand new car would most likely want comprehensive coverage. Comprehensive insurance would include situations which are not ordinarily covered in liability or collision coverage. Some examples would be acts of god-like storms, falling trees and the like. As years go by, the car ages and depreciates. It would not be worth paying for a higher premium for an old car. It would be wise and practical to opt for a cheaper insruance policy. A sudden shift of your income would probably be coupled with a sudden change of lifestyle. A pricey car would entail a pricey insurance policy. If you do not have plans of acquiring a new car, you might want to upgrade your insurance for a better coverage. You have a comprehensive coverage, but do you know how to make a claim when the need arises? Sit down and take time to read your insurance policy to avoid unnecessary delays in the future. Educate yourself by reading the process of when and where you can make a claim. This will make claiming easier. Know the grace period when to make a claim. Claims have prescriptive periods, meaning you cannot claim whenever you want. There is only a period when you are allowed to make a claim; otherwise you are barred to claim forever. Also make sure that you inform yourself of the time when to make a reinstatement of the policy. If you encounter an accident where you incur damages during the time when the policy is not in effect because it expired due to non-payment of premiums or it expired and you did not inform your insurance company about your intention of continuing the insurance policy, the premiums you have previously paid will go to waste. Your insurance policy is not just a piece of paper with gibberish in it. There might be clauses inserted in the policy that are not amenable to you. When you come upon something you do not agree to, at least you can contest it or rescind the contract altogether. Remember that insurance policies are considered “contracts of adhesion.” It is called such because all the clauses, terms and conditions are already laid out by the insurance company and all you have to do is to sign it. There is not much bargaining power here on your part. So make sure you read them.